Find a hotel close toa festival in San Diego! The great thing about traveling to San Diego is that there is a lot to do and see! From the beaches to the San Diego Zoo, families come here to enjoy the fine weather and the abundance of ethnic restaurants. Located in the famous Balboa Park, The San Diego Zoo is a great place for families and friends to come together and learn more about the animals of our world. Free parking. This is the closest hotel to the Chinese New Year Fair but it's a bit pricey. It's a really nice, upscale hotel. Don't be surprised to book $300 a night here. See more pictures of The Pendry. It's literally just down the street from the fair because it's only .16 miles and located right on J Street. It has a rooftop pool and a lot of great fancy restaurants. If you want the luxurious of San Diego, you won't regret staying here! Although a bit farther walk, this hotel is still a close proximity and offers a more affordable rate with breakfast included with your stay! See more pictures of Holiday Inn Express San Diego Downtown. It is still a central location and close to all the action of the Gaslamp! This is walking distance to the SDCCU Stadium and close to a lot of restaurants and shopping. You can expect a 5 minute drive because of the traffic. It's only 1 block from Costco, Ikea, Starbucks and 2 blocks from Mission Valley Mall! Service here is excellent. You will be wowed here. 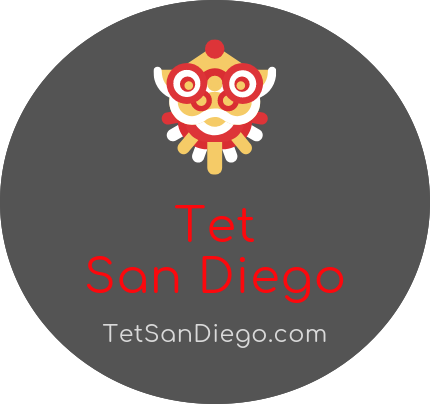 About a 7 minute drive from the Tet Festival in Mira Mesa, this is an easy drive. Free continental hotel is included with your stay. All rooms have a microwave and refrigerator. Rooms are modern and well-kept.